This is the BEST pizza place EVER!!!!! and I'm not given to that kind of rave. They are a little pricely and Mt. Vernon has plenty of cheap-pizza options, so I fear from time to time they will evaporate. This place really is a different experience than the local greasepit pizza joint -- the space is welcoming and interesting, I love the little pizza stands on the tables so that you can stack up several options, and it's BYOB. I knew a worker there, and he said it's a great place to work. I believe it, the vibe is just that good. 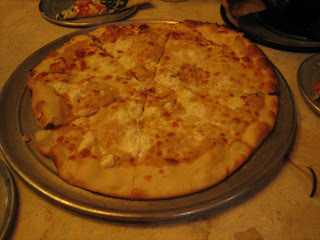 Runners up for best-a-little-pricely-but-worth-it-pizza are Zella's in SoWeBo and Kyro (formerly Isis Cafe) in Mt. Vernon. 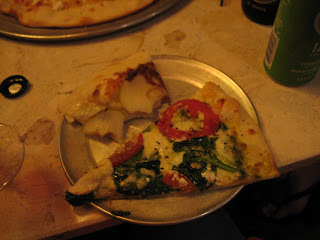 Cheaper but really quite good pizza can be found at Matthew's on Eastern Ave. near Patterson Park.